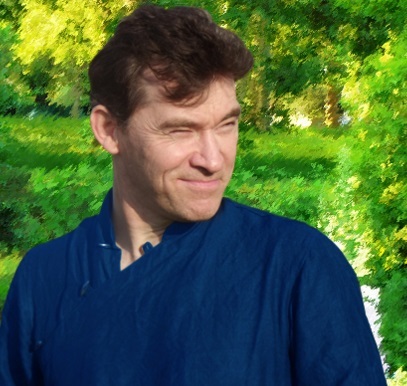 Steve has a PhD in Transpersonal Psychology and his articles and essays have been published in over 40 academic journals, magazines and newspapers. He writes the popular blog ‘Out of the Darkness’ for Psychology Today magazine. Steve lives in Manchester, England with his wife and three young children. I'm a writer and find it easy to write. Ever since the age of 16, I've felt a strong impulse to write, and I've nurtured it over the years, so that now it comes very naturally to me. Over the last couple of years I've concentrated more and more on spiritual poetic pieces, and they are developing in interesting and unexpected ways. I love the way my writing seems to evolve of its own accord. I don't think I am the best! I'm a self-deprecating Englishman! I think that once you think you're the best you're in a dangerous situation. You separate yourself from others, and begin to fall prey to self-conscious narcissism - which ultimately blocks the flow of your talent and creativity. To remain open and creative. To be a good father and role model for my children. To continue to make a contribution to the unfolding of human evolution, and aid personal and collective transformation. To me creativity is success - when I create a poetic piece out of nothing and it becomes fully formed and realised, or when a book takes on a life of its own, and seems to develop organically, as if it somehow already exists, and I'm simply uncovering it and allowing it to be. A challenging period, rather than a moment. When I was younger, I suffered from depression - I wasn't really suited to the environment I was born into and it took me quite a long time to understand and accept myself. I would say it was around the age of 29 that everything 'clicked' and I became exactly who I'm supposed to be, and began to live in the way that I was meant to live. 'Happiness, not in another place but this place...not for another hour, but this hour.' Walt Whitman. 'Not I, not I, but the wind that blows through me.' D.H. Lawrence. My wife Pamela and my three young boys, Hugh, Ted and Bill. Being a parent can be very challenging and stressful but also immensely rewarding. I've always been quite child-like, I think, but having young kids really allows you to become a child again, and to re-experience the world through a child's eyes. In a wider sense, the authors/poets I admire most are Walt Whitman and D.H. Lawrence. The Lake District, in the UK. Also, I love a little island called Anglesey, in Wales. 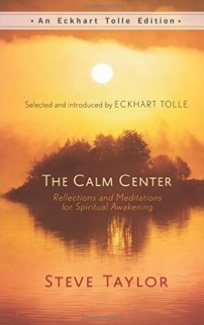 It has a mystical atmosphere and I wrote a lot of my book The Calm Center there, as it's so conducive to stillness. It's difficult to think of one. I'm not really interested in clothes or possessions....I know, face cream! I have dry skin so I frequently use face cream. I love cycling and walking because they bring me into closer contact with nature. I love the stillness and beauty of the natural world. I also love literature and find it so rewarding to keep discovering new authors and books. At the moment, I'm reading through the novels of the English novelist John Fowles, and also reading the American poets Wendell Berry and Mary Oliver. There's such a strong connection between literature and spirituality - many poets and authors have been spiritually awakened individuals, without realising it.